2017 Toyota Prius C: the compact hybrid that’s big on fun! It’s designed for modern life and thrives in the city. 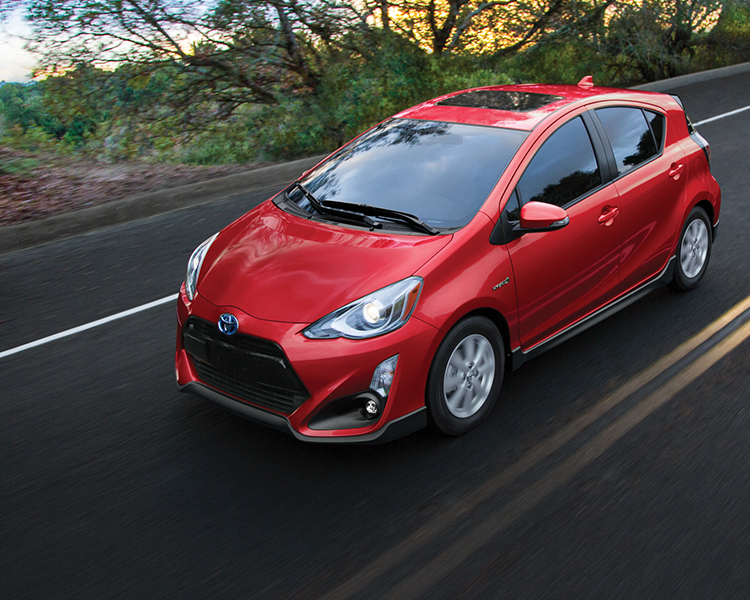 It’s the Toyota Prius c – the most efficient member of the Prius family. For 2017, Toyota has enhanced every Prius c with a snazzy matte black body kit to give the future-forward design an urban edginess and introduced new safety features across the Prius c model line. Every model is impressively equipped with comfort, convenience and technology features. Check out the 2017 Toyota Prius C at Richmond Hill Toyota today!